Warning Sound & Indication: Alarm Sound Level: >85dB @10ft. 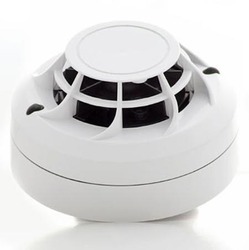 We are a unique entity in this industry, actively committed to offering a premium quality array of Heat Detector System. By keeping track with the market development, we are occupied in providing our clients with excellent quality Addressable Heat Detector. We are successfully meeting the varied needs of our patrons by offering a wide gamut of Heat Detectors as per their precise needs. Price and company chenge subject to availability. 2-wire base connection without polarity sensitivity makes installation much easier. 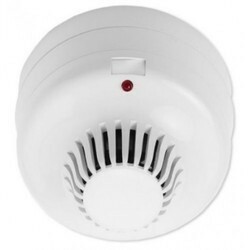 latching function helps to identify alarm device clearly and quickly. address coding by dip switch makes the job easier. magnetic test feature makes maintenace easy and simple.